International students – we need your help, and you might win a Black Cat cruise! We need a focus group of international students who enrolled for the first time at UC in Semester 1 or 2 this year (2017) to spend one-hour with us on Friday 27 October 12 noon to 1 pm to give us advice on the Guide to UC for international students. 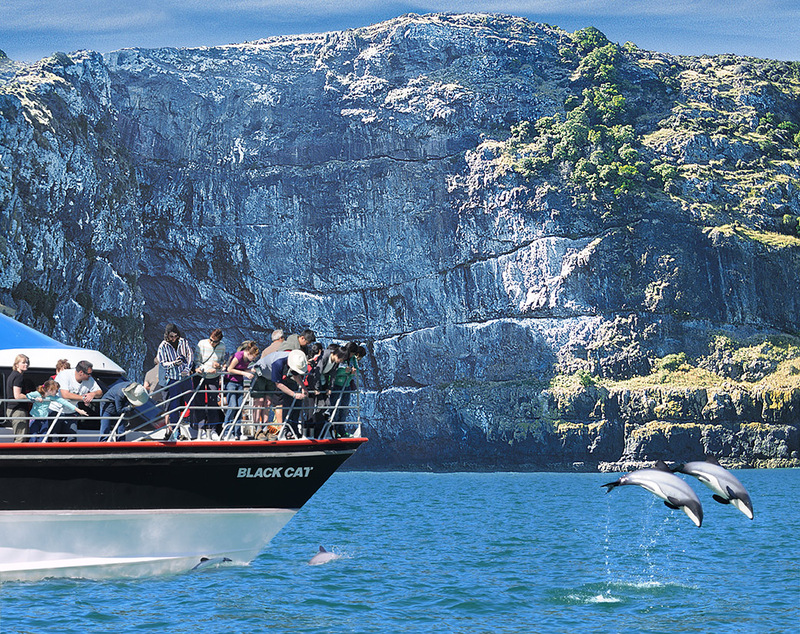 We’ll provide lunch plus you have the opportunity to go into a draw to win a double pass to experience the Akaroa Harbour Nature Cruise. Check out their info and the photo gallery below. Email us by 5pm Tuesday 24 October at communications@canterbury.ac.nz with the subject heading: UC Guide. Tell us why you think you would be good at providing us with advice on the Guide to UC for international students. Provide us with your student identification number. We will let you know if you have been selected to be a part of the focus group on Wednesday 25 October. Welcome. It’s great to have you here. 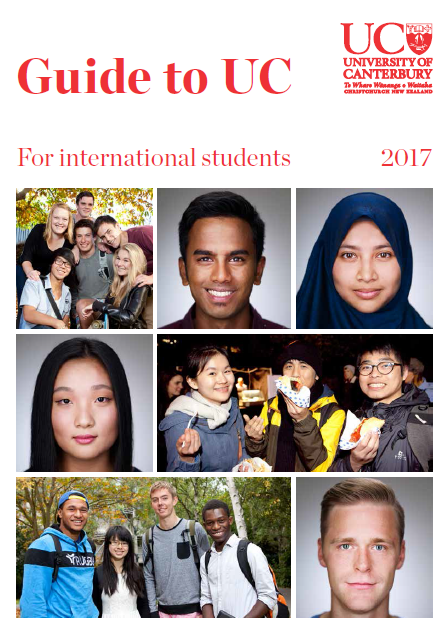 Have you got your copy of the Guide to UC for International Students yet? Try answering the ten questions below and see why this could be one of the most important things you read in 2017. It has all the information you need to make the best of your time at UC and in New Zealand. Get connected and get involved. You can get a copy from Student Services, Level 1, Matariki Building. How many GB of free internet allowance will you receive per month? Where is Student Care located? On what date will you receive the exam timetable for Semester Two? Who at UC can provide financial assistance? Where can I meet others of the same religion on campus or in the community? Where can I get help with my enrolment, visa and insurance concerns/issues? What is the New Zealand website where you can check your eligibility for publicly funded health services? What is the name of the confidential service in New Zealand that gives advice on renting laws? How many libraries does UC have? Where can I have fun in Christchurch and around New Zealand? We would like to welcome you to feel at home in Canterbury! 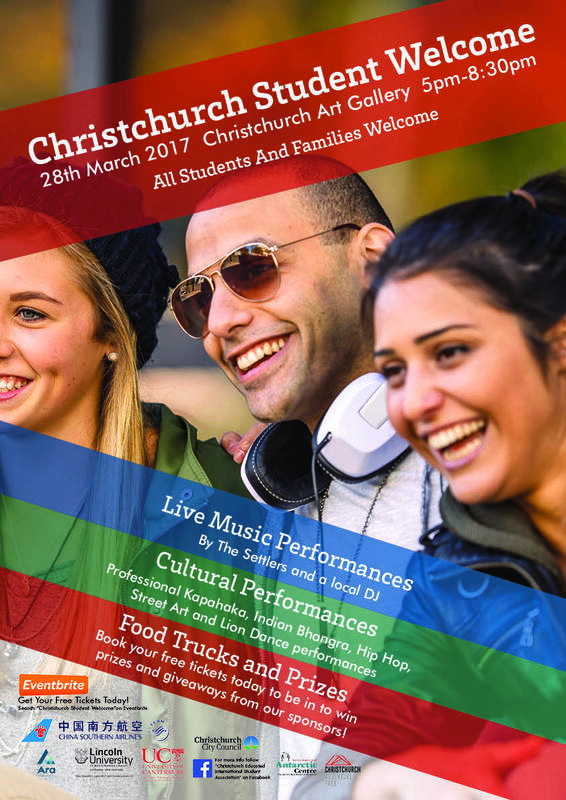 All students in Christchurch and Canterbury are invited – host families and international staff too. Register now and be in to win prizes on the day, such as a China Southern flight and passes to the Christchurch Antarctic Centre. Register today for your free tickets here and download the app – Christchurch Student Guide in the app store or on google play. For more information contact Christchurch Educated.